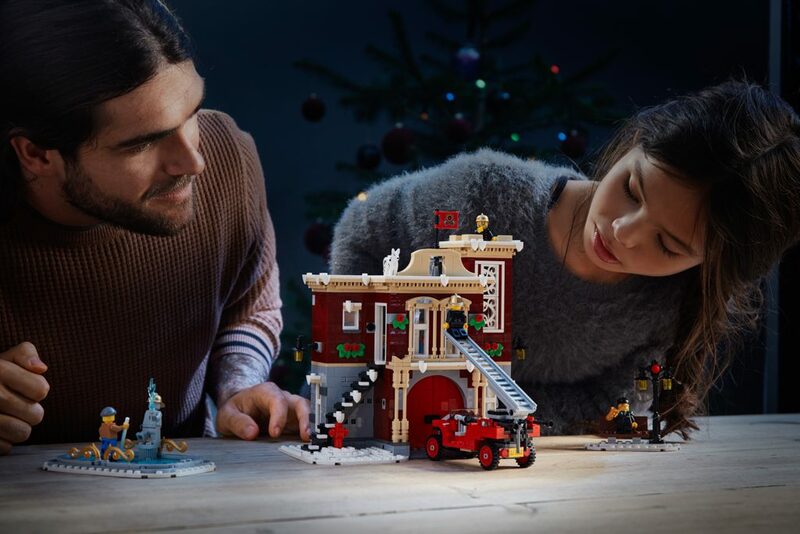 The LEGO Group has launched Creator Expert 10263 Winter Village Fire Station at the official online shop and LEGO Stores. Today, LEGO Creator Expert 10263 Winter Village Fire Station is released at shop.LEGO.com and LEGO Stores, having previously only been available to VIPs. It is the largest set in the festive series for a while, using 1,166 pieces to bring the delightful scene to blocky life. The set is priced at £84.99. 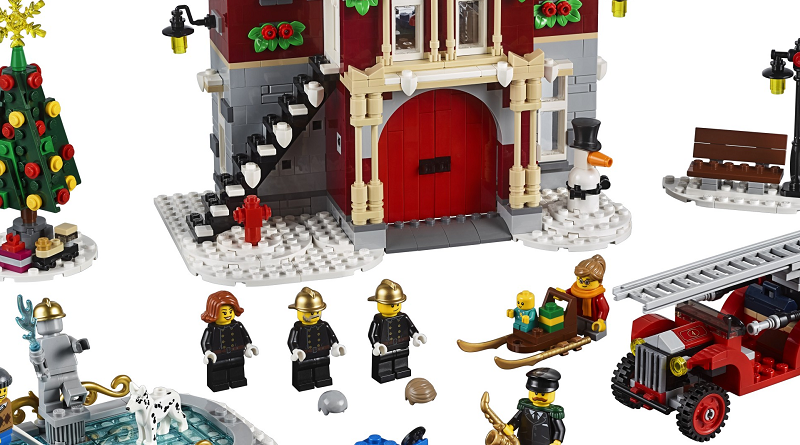 While the LEGO Group has released plenty of fire stations over the years, Creator Expert 10263 Winter Village Fire Station has been given some quaint winter charm. The firefighters have decorated their station with holly, made sure that there is an ice rink to skate on and invited a saxophonist to regail them with Christmas favourites. A LEGO light brick is included to give an extra warm glow to the snow covered building. An old-style fire car maintains the never defined but clearly time gone by era that the Winter Village is set in. The extendable ladder can be used for the positive purpose of putting up decorations rather than putting out fires during the holiday season. Inside the station, there is a fire pole, kitchen area and flip down bed, economising on the space. Interesting pieces in the set include a new baby with a moose sweater, a Dalmatian and gold coloured helmets. LEGO Star Wars 75222 Betrayal at Cloud City also launched today, available to order from the official LEGO online shop. LEGO Creator Expert 10263 Winter Village Fire Station is available now exclusively at shop.LEGO.com, alongside other desirable Creator Expert sets including 10262 James Bond Aston Martin DB5 and 10261 Roller Coaster.